Hello SPX! The choral year for St. Pius X Catholic School has begun and practices are underway! Primary School ensemble (3rd-5th Grade) meets Tuesdays, 3:20 – 4:20pm. Junior High ensemble (6th-8th grade) meets Thursdays, 3:20 – 4:20pm. 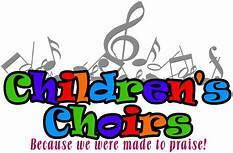 Our first performance will be Oct. 12th, at the 3rd annual Diocesan Primary and Junior High Music Festival. See you all then!